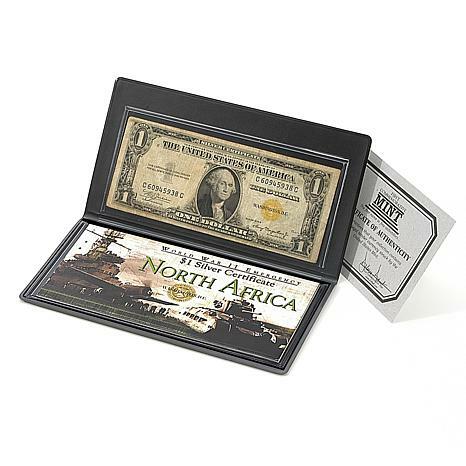 Own a special piece of United States history with a rare Emergency WWII "North Africa" $1 Bill. When Dwight D. Eisenhower started the "Operation Torch" campaign against German Field Marshall Erwin Rommel (the "Desert Fox") in North Africa in November 1942, the U.S. troops carried unique currency with them. 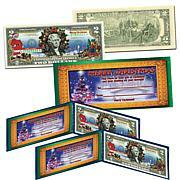 Since the U.S. was worried that large amounts of U.S. money would fall into enemy hands they created a series of emergency bank notes solely for use of troops in that area. 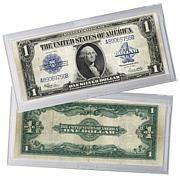 Each of these 1935A series emergency bills was printed with a yellow seal instead of the usual blue seal on Silver Certificates. If these bills fell into enemy hands, they would have simply been demonetized and made worthless. The one--time issue in 1942 was used again in the Allied invasion of Sicily in 1943. 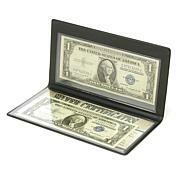 The note is protected behind clear acrylic in a display wallet with a story card to explain its uniqueness. 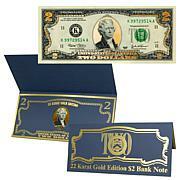 A certificate of authenticity accompanies each note.